Most of the time, thanking each and every guest at an event you organized yourself is an utmost struggle. The need to accommodate and make each and every individual feel that their presence is of great importance and to let each guest know how much gratitude you have towards them by simply showing your act of appreciation is nothing short of a demanding responsibility. Sometimes, thank yous do not echo to every single person in the room, thus the need to go for something that is able to do so. Something that can easily and collectively relay the message and the feeling of gratitude to your guests. You may also see favor tag templates. There are certainly a lot of ways other than simply enunciating the words “thank” and “you” to every guest one can express their gratitude towards them. Ways that can allow for creativity to flourish and practicality to shine through. Individuals who are organizing an event, more often than not, choose to do it creatively where there is also the assurance of relaying the message. There is a medium known as the thank you tags, wherein it equally works as a design element for an event and a medium that is able to relay any information, which for this case is your thankfulness towards your guests, that can be used to evoke your gratitude. For the most part, events are generally organized for the guests. Either to let them witness the spectacle or let them experience the glorious emotions of bliss and excitement with you. Guests are the most vital aspect of any event, whether a wedding, birthday party or baby shower, as they determine whether the event organized is a success or not. That is why there is a need to consciously show your gratitude towards your guests to make them feel that they are being appreciated by just simply being there or whatever contribution they have to your event. With that said, thank you tags are an adequate alternative when you foresee yourself being unable to attend to every guest. Thank you tags can simply hang there on a giveaway, waiting to be taken, yet ready to relay the message of thankfulness. You may also see gift tag templates. First and foremost, a thank you tag can effectively say thank you to your guests without having to do much, aside from being with a giveaway or all on itself. Thank you tags, amidst its simplicity, is able to convey your message of gratitude towards your guests. You may also see gift tag samples. Aside from the fact that an event organized is in itself a ton of effort to materialize, guests being at your event, also pour a ton of effort in whatever way they see needed. They block off the date to make sure they get to attend the event, they buy clothes to wear to look the part or cohere to the theme imposed, these little gestures although minute to some degree, is still an effort to be considered. That is why when thanked and acknowledged for it, guests ultimately feel greatly appreciated by you. It is as if their efforts, whether big or small, mattered to the people they are attending the event for. You may also see tag templates. 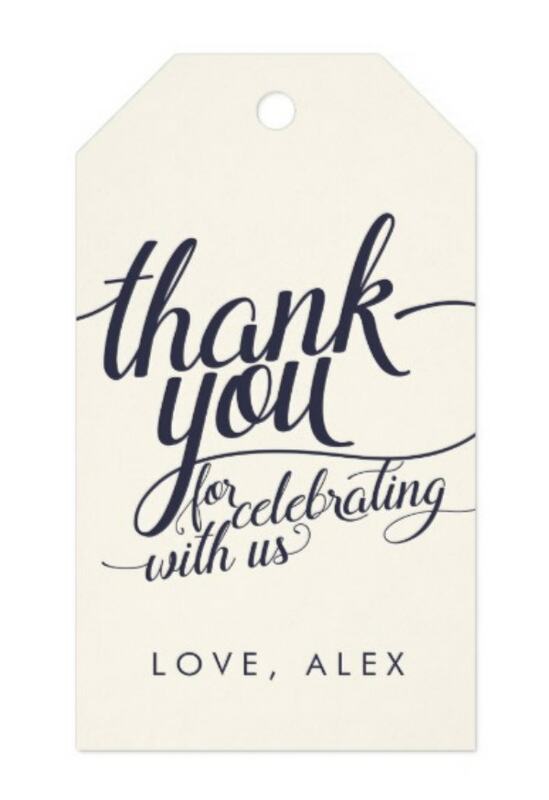 Whether creatively or simply done, a thank you tag will surely add to the plethora of design elements in your event. 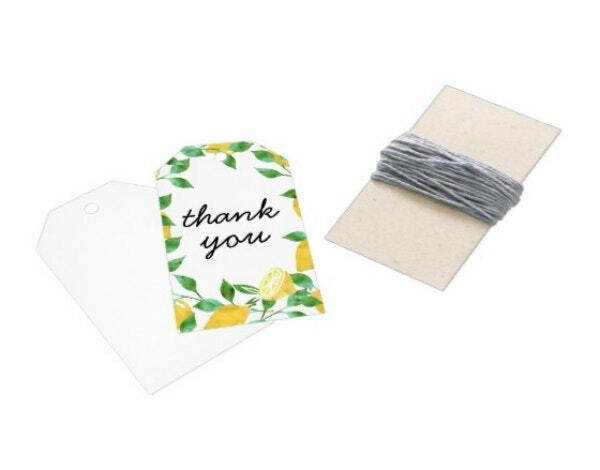 Considering that in its nature, a thank you tag is arts and craft (whether handmade or printable). It will be able to simply cohere to whatever theme you have imposed for your event, thus the inevitability to be a design and be added as a design element. One of the things people are so fond of doing is that they tend to keep souvenirs from whatever special occasions they get to attend to. With a thank you tag is a more tangible way of expressing your gratitude, is the inevitability of it being kept for keepsakes. Your guests will be able to keep it, look back on it with the beautiful and fun memories it entails. In the end, it becomes an object of nostalgia that brings so many good memories back at times that call for. You may also see free tag designs. How Do You Create Your Own Thank You Tag With These Printable Templates? These printable and ready-made thank you tags provide an easier option to create your very own thank you tag. These templates vary in design, but can equally work with any kinds of events, whether it be weddings, bridal showers, anniversaries, birthday parties or baby showers. The first step to creating your own thank you tag is of course by choosing a design to fit your preference among the choices presented to you. There are different designs for every different preference, perfect for every different event. 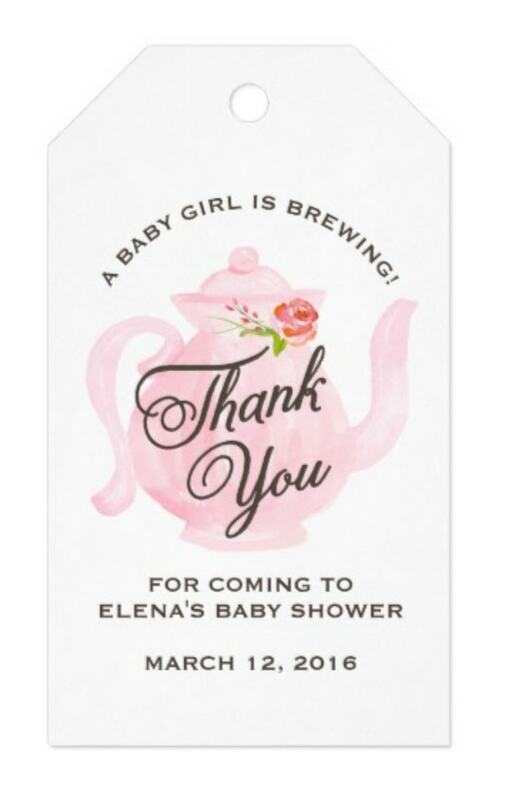 There are minimal designs, floral designs, even faux glitter designs for weddings, baby showers, et cetera. Some other designs offer you the option to edit the printable thank you tag before doing your purchase. You can edit its finish whether matte or kraft and you can also edit the kind of paper you want your thank you tag to be printed on which comes in different variations. Once you have already chosen the design of your liking, simply click the “buy now” button (in this article) which will redirect you to its page. When already there, click the “add to cart” button and simply pay for the design you have chosen through different modes of payment available. You may also see simple tag templates. After all the processes above are accomplished, all you have to do now is wait. Wait for your thank you tags to be delivered. And once it is already at your hands, you have the liberty to do whatever you want with it. You can either give it away all in itself or you can present it with a giveaway. Take into account that a thank you tag is an avenue for your creativity to flourish, so you have as much freedom to do anything you want with as long as it satisfies you completely. You may also see printable tags. Just like any medium you wish to use as design elements for your event, a premade printable thank you tag comes with its own set of advantages. Advantages that make it ideal compared to having it custom made or buying it directly in arts and crafts stores or Hallmark kiosks. You may also see free printable gift tags. Considering that you need a bundle to accommodate all the guests you are planning to invite, choosing to buy online that is readily available and premade is fairly affordable. Because these designs are made according to the designer’s preference which means no demands or guidelines to strictly follow which will result in a considerable priced fee. Just an ample freedom and creativity to express themselves through their preferred designs. You may also see sample hang tag templates. Taking into account the very fact that these thank you tags are premade, which means you either have the option to simply edit the tags on their website or do it on your own basing from the initial design and layout of the designer. This premade thank you tags also come in a file that is easy to edit and customize, which means you do not need extensive knowledge about design in order to achieve the kind of look you want for your thank you tags. You may also see inventory tag templates. 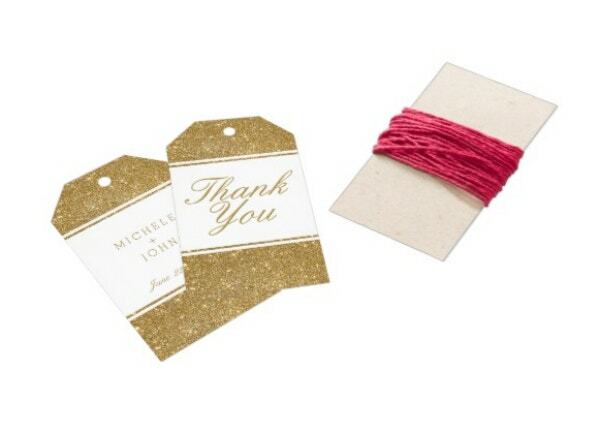 All of this pre-made thank you tags are fully editable and customizable. You can edit the texts, the cool fonts, colors, sizes, even a few of the other elements in the thank you tag design. Sometimes, it comes with smart object layers or vector files that enable you to move around elements of the design to create a more personalized and unique-looking thank you tag. Thank you tags, especially premade and printable templates, come in many different variations. There are different designs to satisfy the different preferences of different individuals. There are simple thank you tag design templates, as well as minimal designs. 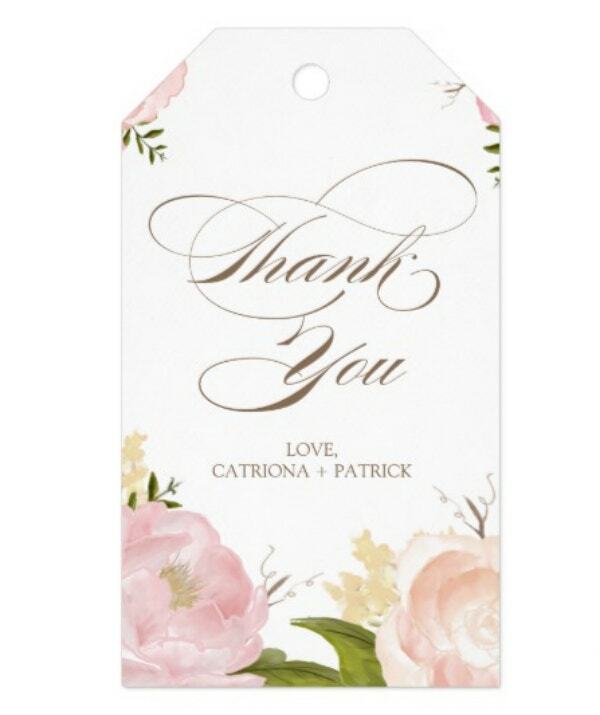 There are also modern and fun thank you tag templates and also floral designs. There is definitely one for every different preference that effectively works and coheres to different kinds of events with different themes. 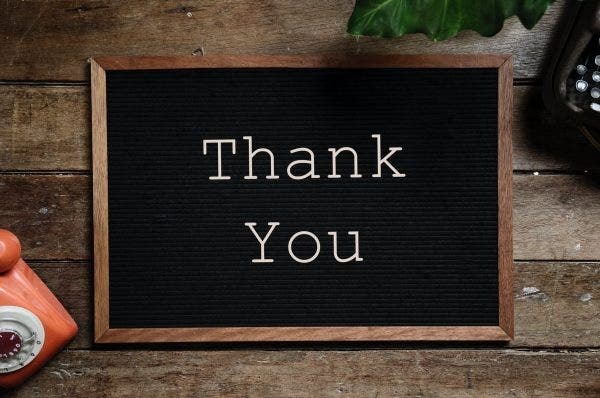 Although “thank you’s” in its essence is enough to show your gratitude towards your guests, sometimes going the extra mile by providing a more tangible medium that effectively expresses your gratitude is way better than simply enunciating the words. It is important that you never forget to thank your guests for they are one of the reasons that make up the success of your event. You may also see favor tag samples. If you find this article helpful in any way, do not forget to bookmark this page for future references. And, kindly share this with other individuals organizing their very own event looking for printable thank you tags to use. You may also see printable gift tags.